Firstly download LWJGL from its sites download page. You'll just want the standard download bundle (lwjgl-x.x.zip), you can ignore the source, docs and applet bundles for now. Extract the contents of the bundle to somewhere on your computer, it does not have to be in any specific location. Do not put it in the Java installation directory. 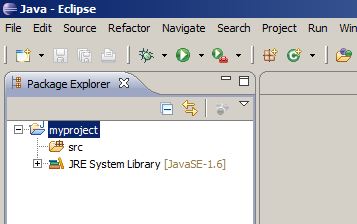 Next start up Eclipse and create a new project. 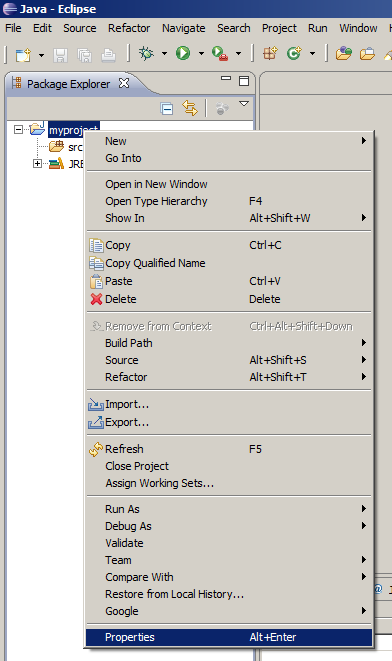 Then right click the project and choose properties. 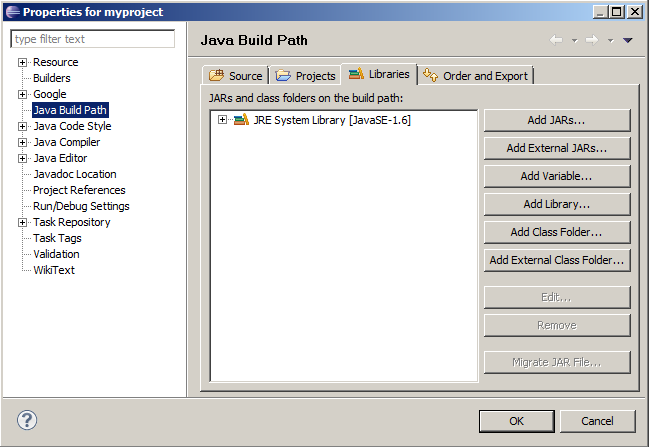 Next select 'Java Build Path' and then the 'Libraries' tab. Add lwjgl.jar as an external jar by clicking the 'Add External Jars..." button. If you intend to use OpenGL's GLU class you should also add lwjgl_util.jar. If you are using the Slick2D library then you should also add slick.jar here. Finally we need to setup the native component of LWJGL. This is done by clicking the little arrow next to the lwjgl.jar file to show the drop down list. Double click 'Native library location' and select the folder that contains the native files for your operating system and clicking OK. These are located in the natives folder include in the LWJGL download bundle (e.g. On Windows you'd point to the natives\windows folder which contains the *.dll files, On Mac you'd point to the natives/macosx folder and on Linux you'd point to the natives/linux folder). That's it, you now have LWJGL setup with Eclipse and can begin coding. so, I downloaded the lwjgl file, but when I tried to enter the location of native libraries,I just realized that there is no "natives" folder. Only a "native" folder that does not have any .dll files in it. What should I do? So I went to the online site and downloaded the LWJGL zip (it's at version 2.8.5 at this point.) But that zip file didn't have any .jar files! What's going on here? Did they upload a bad version or something? absolute hero saved my life! I *JUST* got Eclipse successfully installed & am trying to get it to point to the correct location, so that I can do game development with Eclipse & LWJGL. But only my Eclipse install has gone correctly. I extracted the LWJGL files to C:\LWJGL as it's destination, but I do not see any folders named 'natives'. Additionaly, I also downloaded the 32-bit JDK (don't know how to install that). The JRE was an executable & did it's own thing nicely. So any advice you can give here is really helpful! Exception in thread "Thread-0" java.lang.UnsatisfiedLinkError: no lwjgl in java. SoundSystem did not load after 30 seconds. I must be doing something wrong please help!!! The above error just means you haven't setup the native component of LWJGL properly, see the end part of the above tutorial and try again. Helo, I have the same error when I try to launch my jar after compiled it with Eclipse. Solved my problem with a command line launching code. Where exactly would I find these "native files," specifically for Mac OS X? You just include them all, LWJGL will automatically detect which OS its on and load only the required natives.